Many of our future Community Team led events will require multiple screenshots and we recommend that you follow this basic guide which will make the submission process simpler for both players and team members. We also recommend the use of postimage because it's fast, free to use (no registration required) and supports bulk uploading to a gallery. 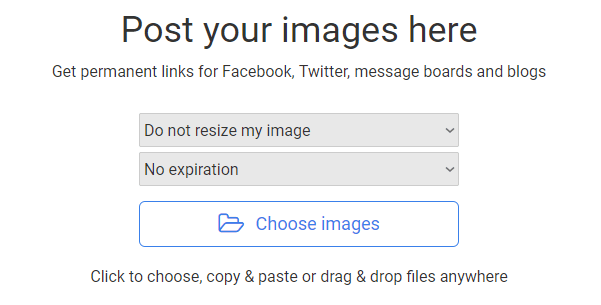 If you already have image hosting elsewhere which supports folders/galleries that are publicly viewable with a direct link then feel free to use that service instead. There is a wonderful little postimage app for Windows which captures screenshots then opens up a handy customization editor, which is perfect if you need make any visual edits to your screenshot. You can directly upload multiple screenshots and the app will return the direct link to the gallery. The postimage app will eliminate most of the additional steps detailed below, so if this sounds more interesting than reading the rest of this guide you can find out more and download the postimage app here. An alternative for both Windows and Mac users is LightShot, detalils of which can be found here. If you don't want to install any additional software, modern editions of Windows are equipped with the Snipping Tool and there is usually a relatively easy way to grab a screenshot on every Operating System (even mobile/tablet devices) so do your own research and find a solution that works for you. This guide assumes the reader is using Windows and the Snipping Tool. Create a new folder on your desktop, give it the name of the current event and save (or move) your screenshots into it. This will help you keep track of which quests you've completed and will make it easier to upload your evidence to postimage once you've got all the screenshots you need for the event. 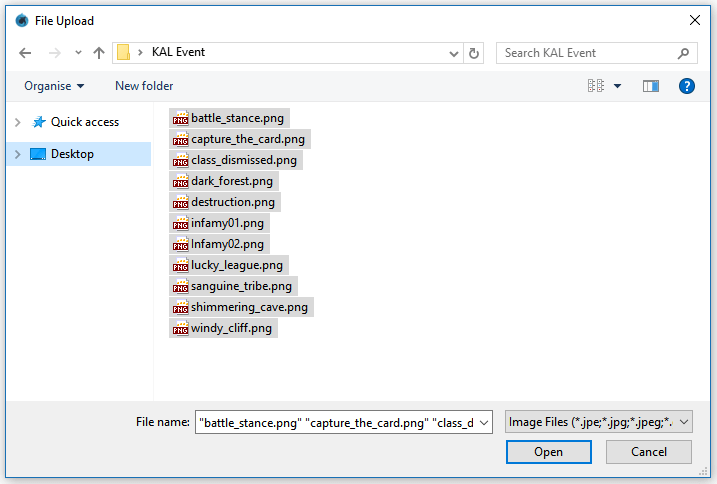 If the event is segmented, creating subfolders makes sense as each set of screenshots would likely require a unique postimage gallery link to be submitted before any potential deadline. 1) Visit the postimage website in your browser then click the 'Choose images' button. 3) Once your screenshots have been successfully uploaded you will see the direct link to your gallery. This post has been edited 4 times, last edit by "Parabellum" (Jun 6th 2018, 3:40am) with the following reason: Updated postimg.org links to postimg.cc (the older domain is registrar locked and no longer works).